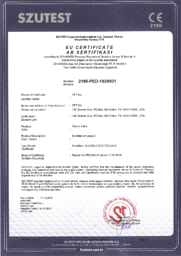 DFT® Inc. proudly holds a PED certificate of quality system approval from SZUTEST. This certificate states we comply with the requirements of Module H (Annex III). Download a copy of our PED certificate by filling out the form.